Home > About > Why SpicyNodes? > What are they? The secret to SpicyNodes is its tree structure, which organizes information in a logical way, letting visitors quickly drill down to the information they seek. At the same time, it gives people a quick glance at large volumes of information and how each piece relates to others around it. Based on a simple concept, powerful technology, and a highly intuitive interface, SpicyNodes is easy to author. In a few minutes you can make an interactive site map, or repurpose your existing content into an inviting portal with unique visual appeal. With a few clicks, you can customize your nodemap’s appearance and share it with others or embed it into your web site or blog. It’s also a fresh way to display information for various creative and educational uses, from concept maps, to poetry and art, to new user interfaces and visualizations. Sometimes users know exactly what they’re looking for, and sometimes they only have a general idea. With SpicyNodes, you can organize morsels of information in a way that makes sense to your visitors, and display the morsels as nodes in a radial layout. It’s nonlinear, and much more like real life. SpicyNodes achieves its user-friendliness by employing sophisticated algorithms to mimic space that is familiar and intuitive to users. Related information radiates out from its parent in a cascade, just as the sun swirls in our galaxy and planets orbit the sun. Likewise, nodes elegantly jump from orbit to orbit, just as a spacecraft would when maneuvering under the influence of a planet’s gravitation. Much like the powerful gravitational forces that keep these bodies in orbit, advanced applications of math and physics converge to become the unseen force that hold nodes in their orbits. 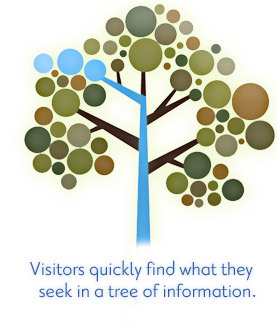 Visitors often benefit from seeing information on multiple scales. SpicyNodes allows visitors to zoom in and out, and to adjust their view of a particular node. Now we’re cooking! 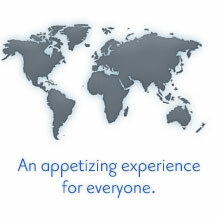 Plus, it’s multilingual, supporting all major languages.